Boating paradise!!! Cape Harbour is a Lifestyle. 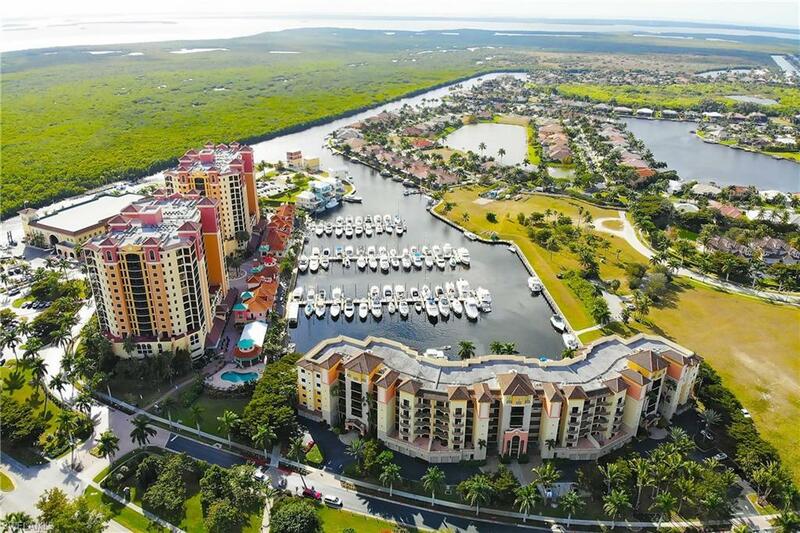 Cape Harbour marina is just minutes to the inter coastal waterway and the Gulf of Mexico. Cape Harbour has it ALL!! GULF access, Boat ramp, restaurants/bars, coffee/pastry shop, boutique shopping, and boat storage available on site. Rare 1st floor condo. SW Cape Stunning Furnished condo with 2 massive terraces located on both sides of the building and a screened in lanai that faces Marina. Condo is a complete update, contiguous matching new tile flooring through out condo, all the top finishes including granite and delightful light fixtures throughout. 3 bedroom, 2 bath split bedroom floor plan, great room/kitchen/living/dining view from each area faces marina. A must see. Impeccable decorating. Designer look, all new furnishings included. Move in READY. Building features community heated pool/spa, outdoor grilling area and entertainment area. Incredible views of fabulous marina. Elevator building with 2 dedicated parking spaces in parking garage on ground floor included in price, storage right next to your assigned parking spaces included in price. PLEASE VIEW VIRTUAL TOUR.